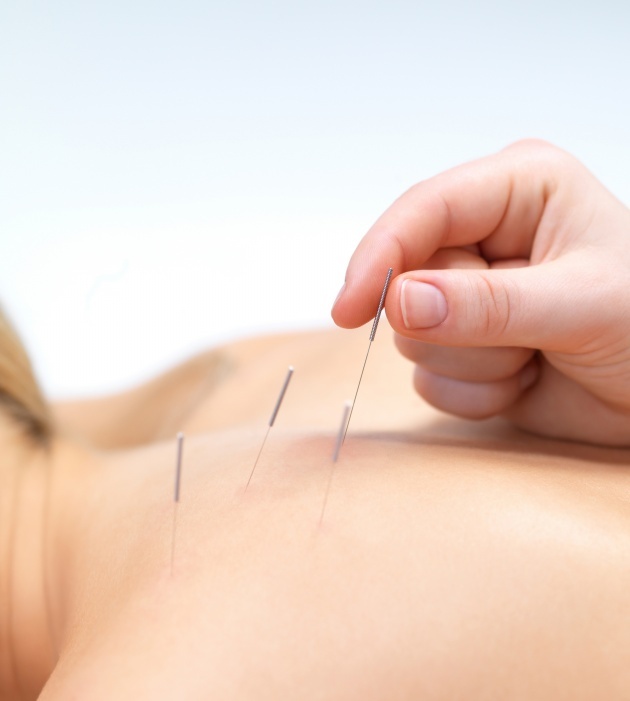 Acupuncture is a form of Traditional Chinese Medicine (TCM) that has been practiced for thousands of years. It's based on the theory that energy, called Qi/chi (say "chee"), flows through and around your body along pathways called meridians. 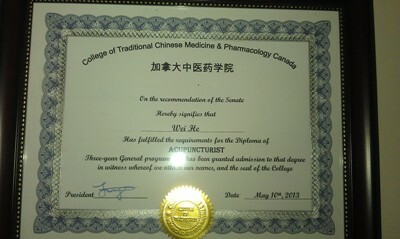 A key component of Traditional Chinese Medicine. Acupuncturists believe that illness occurs when something blocks or unbalances your Qi. Acupuncture is a way to unblock or influence chi and help it flow back into balance. Acupuncture is one of the world's oldest medical therapies. It as a technique for balancing the flow of energy or life force to flow through meridians in your body. By inserting very thin needles into specific points along these meridians, there is major 14 pathways in which the blood circulate and through which the viscera and limbs are connected, allowing the upper-lower and interior –exterior portions of the body to communicate. then your energy flow will re-balance. 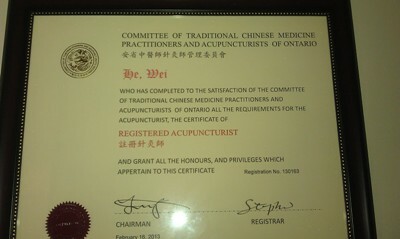 TCM Acupuncture is good for Grey State of health ( Sub-Health state) & status of the disease . it is a good way to help relieve pain and treat certain health conditions. Feeling tired, depressed, agitated or suffering from insomnia, poor memory, aches, and shortness of breath? Are you experiencing these problems lately? You might be in a state of sub-health. Also known as the grey state, sub-health is defined as a borderline state between being healthy and falling sick. If neglected, it can potentially be more dangerous than diseases, as the body’s weakened immune system allows for easy attack of pathogens. The main causes of sub-health are occupational stress, undesirable lifestyle habits or behaviours. Our acupuncturist will give you an exam and ask questions about your pain and how well you are functioning. We will also ask about your overall health. Then we will look for the places (called points) on your body to access the chi that is blocked or not flowing right. Each of the points relates to certain health problems or body functions. The acupuncturist will look for landmarks on your body-using certain muscles or bones, for example-to find the points so that he or she can place the needles. Every patient is different, but in most cases treatment lasts for 15 minutes to an hour. You may have several visits to complete your treatment. After the needle is placed, the acupuncturist may roll the needle slightly back and forth. Or may use heat or electrical current on the needle. 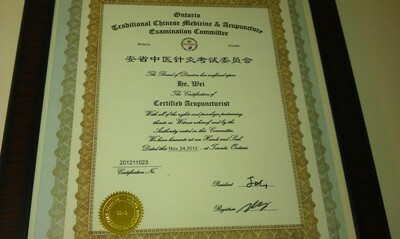 Certified by the Canadian Association of Traditional Chinese Medicine. Will work on a treatment plan with you.